If you’re an online retailer, make sure to give your Search Advertising Campaigns a tune-up before Cyber Monday. According to Adobe Data, Search Ads drove the majority of Cyber Monday sales in 2016. This post shares the ways you can prep you Search Campaigns so you’re ready to take advantage of the surge of search activity that will be present in the coming weeks and months. But don’t stop at Cyber Monday! Prepare your campaigns now with keywords that will be relevant for your category in December and into the new year. Since we love healthy consumer e-commerce brands, here are ten recommendations that are particularly relevant for these brands. This feature, available in both AdWords and Bing, automatically updates ads to let customers know the time remaining for sales or special events. This drives a sense of urgency and encourages them to act. The great part about this feature is that it adjusts based on the time zone of the person searching. You can’t just do keyword research at the start of a campaign and be done. You have to continue doing it to keep up with what consumers are looking for. Healthy lifestyles are important even during the holidays, and there are specific holiday-related terms that jump during the season. The search query Cyber Monday 2016 increased 6,660.3% from November to December with 4,090,000 queries. Healthy brands are probably also interested in category-specific terms like gluten-free stuffing, up 3,015.4% and vegan thanksgiving up 2,505.3% between October and November. Those searches represent consumers searching for healthier Thanksgiving options. Searches for healthy Christmas appetizers went up 1,042.9% in December. Searches for yoga for beginners went up 82% in January in line with New Year’s resolutions. Implement A Landing Page To Curate Holiday Items. Make it as easy as possible to find what they are looking for and inspire them with ideas about how to gift your product or incorporate it into their lives during the season. This also reduces the number of clicks to conversion and can improve your quality score, making your ads more efficient (less costly!). This allows you to add on special offers and helps distinguish your shopping ads from other advertisers with similar products. Use Google Promotion to highlight free shipping offers and other special promotions. Utilize The Showcase Shopping Ad Features. This feature was added by Google in July 2017. Showcase Shopping ads let you group together a selection of related products and present them together to introduce your brand or business. Showcase Shopping ads are available in the new AdWords experience and the AdWords API. Make Sure You Enable Customer Match For Shopping Campaign. The Customer Match audience allows you to target users via the email addresses you have on file for them. Targeting your email list customers through multiple touch points will remind them to add your brand to their shopping lists. Have A Mobile Bid Strategy In Place – Especially For Cyber Monday. In 2016, 37% of Cyber Monday sales were on a mobile device, and that number will probably increase this year. While the desktop is still important, adjust your bid strategy to account for the increase in mobile activity. You may also want to have an additional layer of bid adjustment for iOS devices since last year the average order size on iOS was +12% higher than that of Android devices. 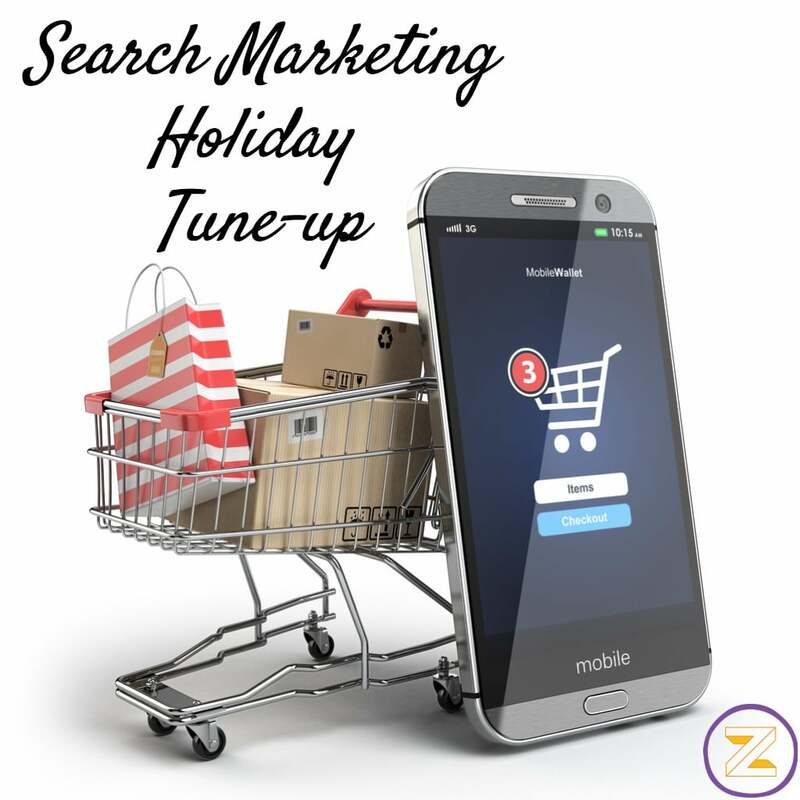 If your normal remarketing strategy consists of targeting only shopping cart abandoners, update your lists to include past purchasers of your products who may be interested again during the season. Add a Gmail Ad Campaign. You can leverage the creative from your Email Campaign to create a Gmail Ad. You can target these ads to your current email list for an additional touchpoint, or to a lookalike audience to your current email list. Or you can target Gmail Ads to specific keywords that are relevant during this timeframe. Implement these campaign tune-ups to accelerate your sales during this season when so many people are looking for your products and services. Also, consider increasing your budget during this time to account for the increase in search query activity. If you need help implementing any of these tips, be sure to contact us. We’d love to help you put the pedal to the metal!